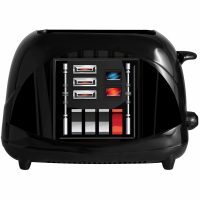 Star Wars Darth Vader Toaster is a bit different because this time the toaster features a recreation of the chest control panel from Vader’s armor. 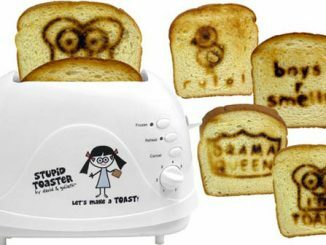 Too bad this is just a visual element and the actual toaster controls are on the other side. 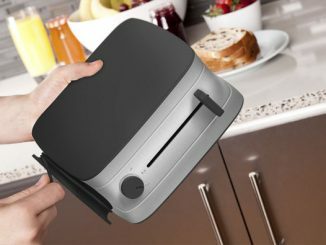 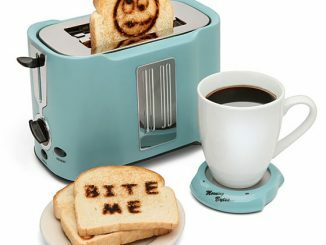 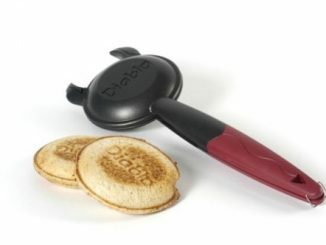 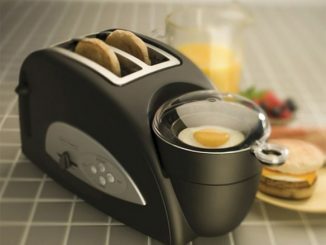 Like those other designs, this 2-slice toaster will toast a Darth Vader helmet design into the center of your bread, allowing you to start each morning with bread that tastes like it was toasted to perfection on the hot lava of Mustafar. 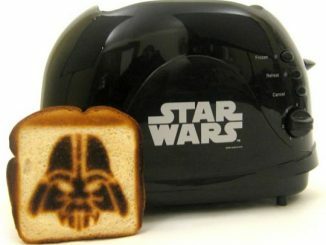 I’ve toasted your bread, pray I don’t toast it any further. 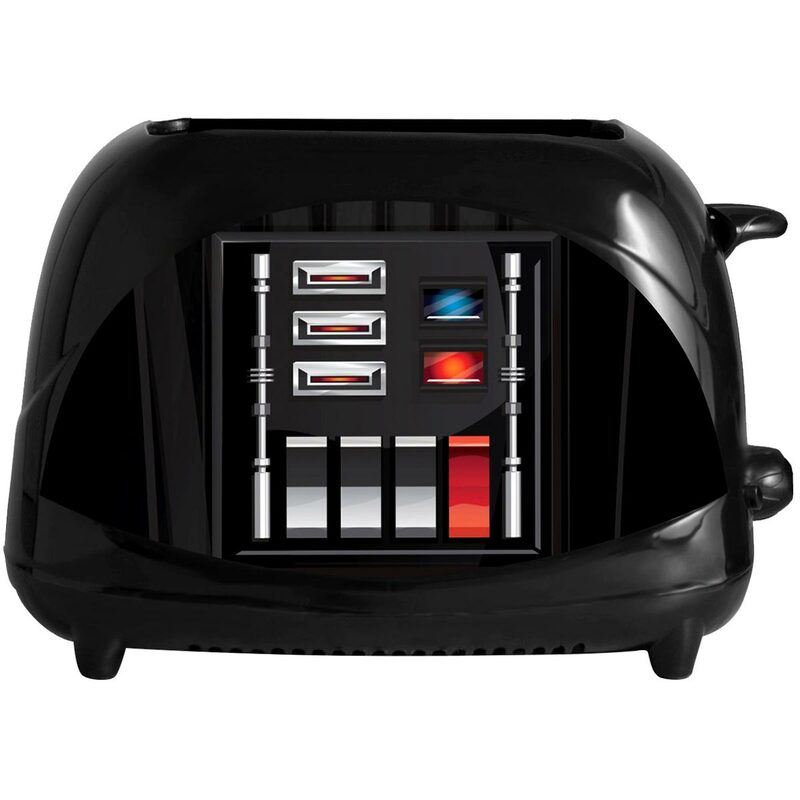 Enjoy saying this and other Darth Vader-isms every morning with this Darth Vader Toaster. 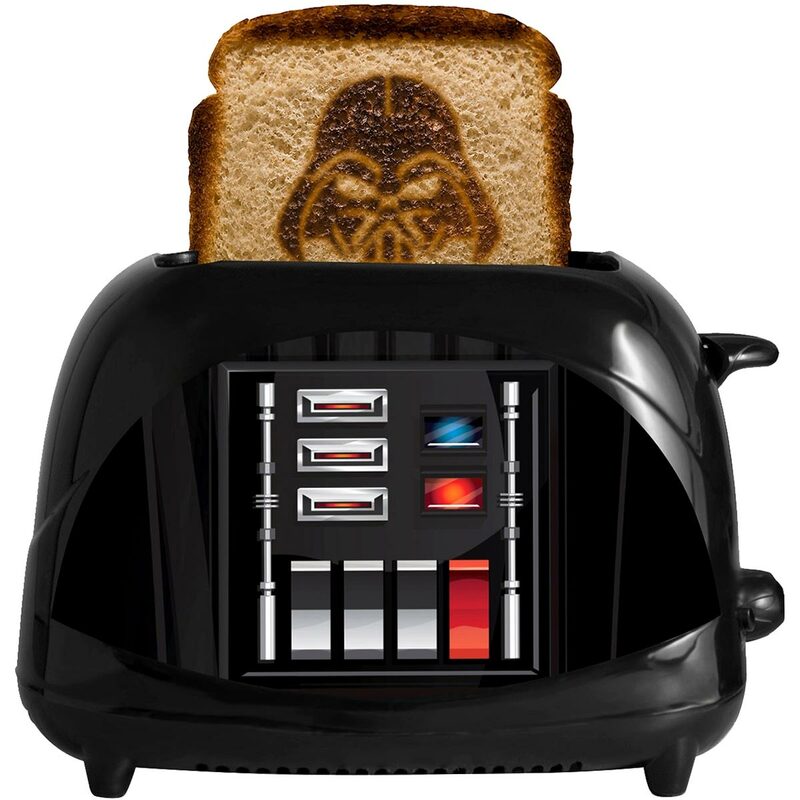 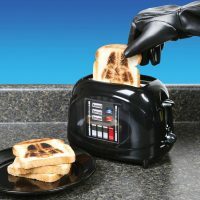 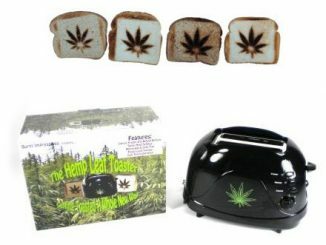 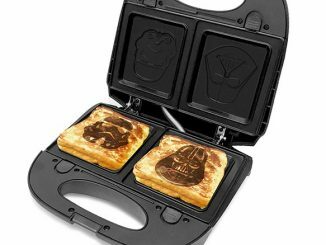 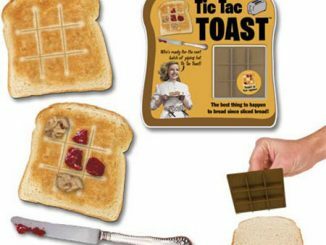 Its casing is an accurate replica of Darth Vader’s chest plate, and when the toast pops up, it has his helmet toasted onto the center. 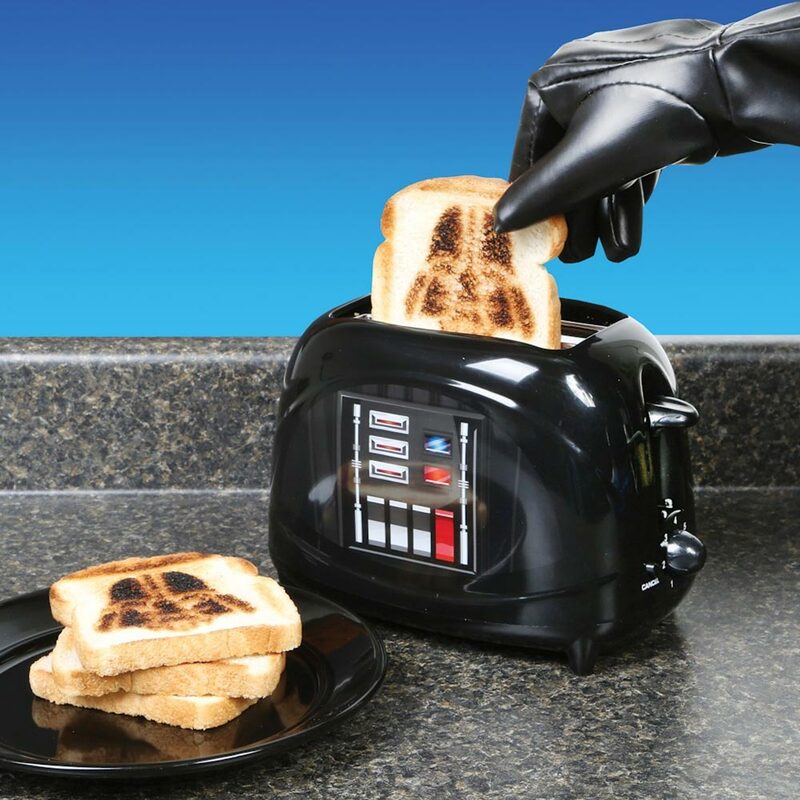 Housing and Vader chest plate made of polypropylene plastic, interior made of stamped aluminum. 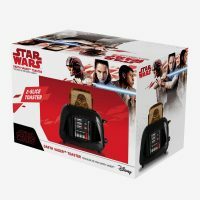 Purchase the Star Wars Darth Vader Toaster for $34.90 at BoxLunch. 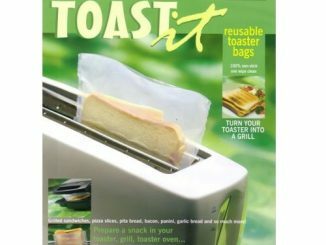 (At the time of publication of this article it is on sale for $27.92, a 20% discount.) 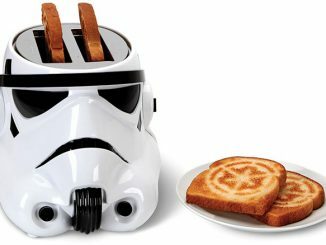 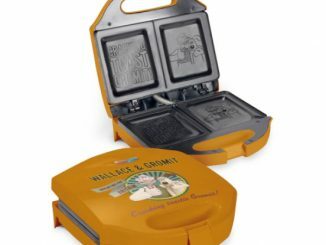 Also, check out the Stormtrooper Toaster and the Stormtrooper / Darth Vader Panini Press.